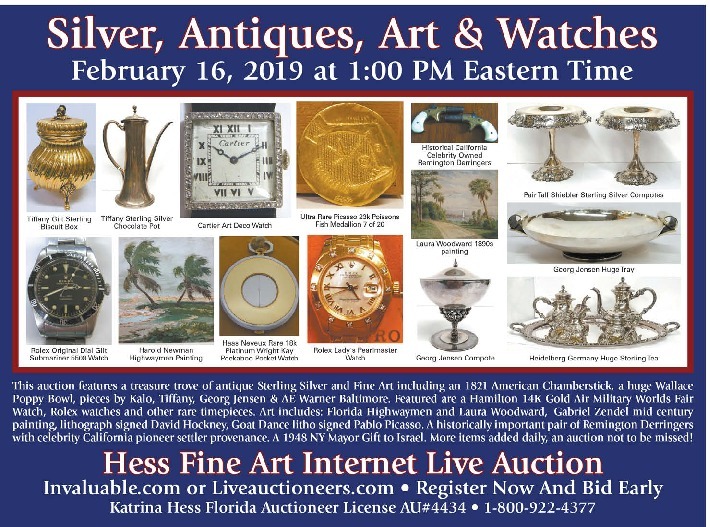 This auction features a treasure trove of antique Sterling Silver and Fine Art including an 1821 American Chamberstick, a huge Wallace Poppy Bowl, pieces by Kalo, Tiffany, Georg Jensen & AE Warner Baltimore. Featured are a Hamilton 14K Gold Air Military Worlds Fair Watch, Rolex watches and other rare timepieces. 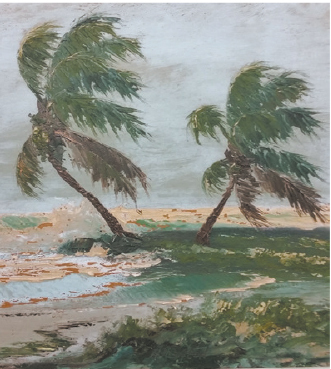 Art includes: Florida Highwaymen and Laura Woodward, Gabriel Zendel mid century painting, lithograph signed David Hockney, Goat Dance litho signed Pablo Picasso. A historically important pair of Remington Derringers with celebrity California pioneer settler provenance. A 1948 NY Mayor Gift to Israel. More items added daily, an auction not to be missed!